Often, couples choose to enter a legal separation and not proceed to divorce. This may be for many reasons, including providing space to ensure whether a divorce or possible reconciliation is in their future. Sometimes couples wish to legally separate to maintain health insurance. Others wish to avoid appearing in court altogether. Once a Separation Agreement is signed, either party may proceed to divorce under the “no fault” ground for divorce, though some agree to put that off. 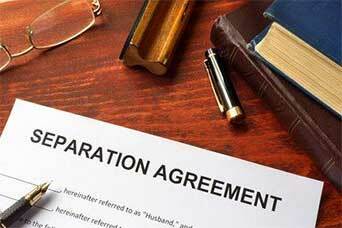 Regardless of whether a couple is proceeding with a separation or divorce, a Separation Agreement is a legally binding contract recording all aspects of the division of property, parenting of children, spousal and child support, health insurance, life insurance, attorney’s fees and so on. As a result, the language of the Separation Agreement must be carefully crafted to accurately reflect the couple’s terms and comply with New York law. Drafting a binding and lasting Separation Agreement requires the services of an experienced matrimonial attorney. Having drafted Separation Agreements since the 1990s, Mark Bezinque has the experience and knowledge to effectively prepare an agreement which protect your rights. Put his experience for over 20 years of representing people in divorces in the greater Rochester area and in drafting Separation Agreements to work for you.